KONDO KAGAKU CO. LTD. announced a new high power servo, KRS-2572HV ICS for KHR-3HV, would put on the market. 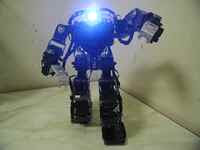 The servo will ship out and be gotten from KONDO web shop or other robot shops by the end of May. 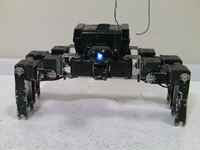 KHR-3HV is easily upgraded by changing two legs' servos. User of KHR-3HV who wants to upgrade one's robot can get high torque servo easily. Kondo uploaded the report of KHR-3HV conversion of KRS-2552RHV to KRS-2572HV. 1) The new servo is using special aluminum gears. 2) The servo case is the same size as the KRS-2552/2542HV series. 3) The new servo is control by ICS 3.5 which can use serial or PMW. 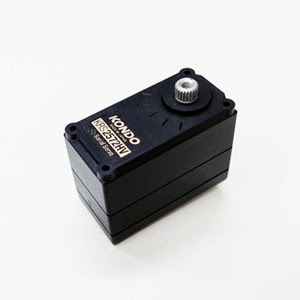 KONDO also KRS-2500 series servos put on the market such as KRS-2552RHV ICS (torque: 14 kg-cm) and KRS-2542HV ICS (torque: 11kg-cm).